A story in the Dec. 5 edition confused the two suspects in this case. The Cannon Courier regrets the error. A former Murfreesboro resident, suspected in an armed robbery at Cash Express in Woodbury last August, was shot to death recently in a Savannah, Ga. robbery. 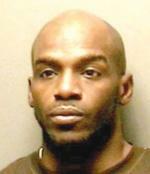 Benjamin Lamar Carter, 36, was living in the Savannah area at the time of his death. He previously lived on Wenlon Drive in Murfreesboro. Carter was the alleged gunman in the Woodbury robbery. Two other suspects, Joetavious M. Randolph, 18, and Thor L. Coleman, 21, both of Murfreesboro, were apprehended following the Cash Express heist. Carter was shot during a Sept. 27 robbery in Savannah by an employee of the Coastal Gold Exchange. Carter fled along with Anthony Threatt Robinson following the incident. In pursuit by police, Robinson crashed a pickup into a house near East 46th Street in Savannah. He ran and police chased him and took him into custody. Investigators discovered Carter’s body in the pickup. He was declared dead at Memorial University Med-ical Center in Savannah from a gunshot wound. Savannah-Chatham Metro Police charged Robinson with multiple offenses following the incident, including felony murder. Robinson was not implicated in the Woodbury robbery. Carter’s death did close the case for Woodbury Police.